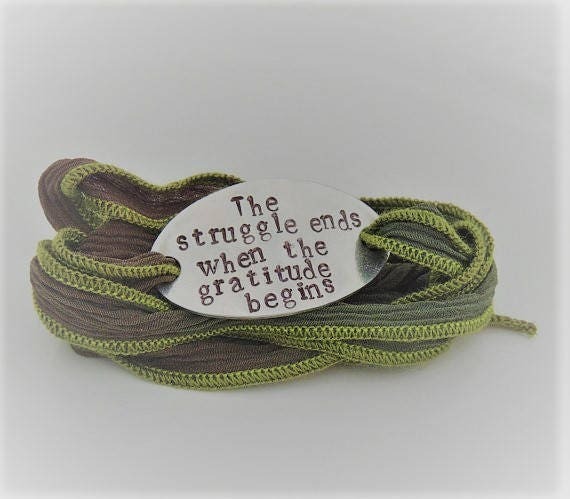 This listing is for a beautiful silk wrap bracelet featuring an oval pewter pendant with the saying, "The struggle ends when the gratitude begins" or your choice of saying hand stamped across the center. 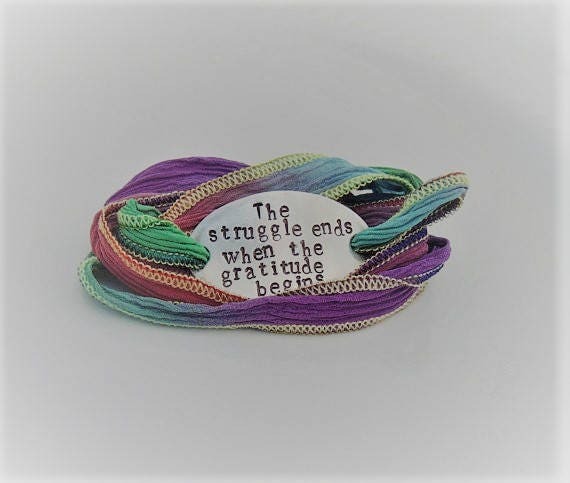 The bracelet is made with your choice of wrap color. 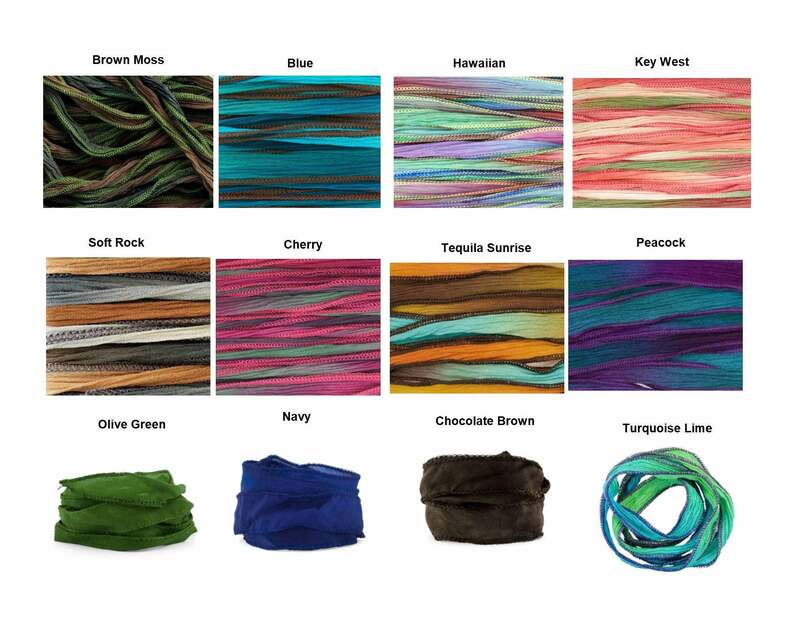 The silk wrap measures 32" in length and can be wrapped to fit most size wrists. 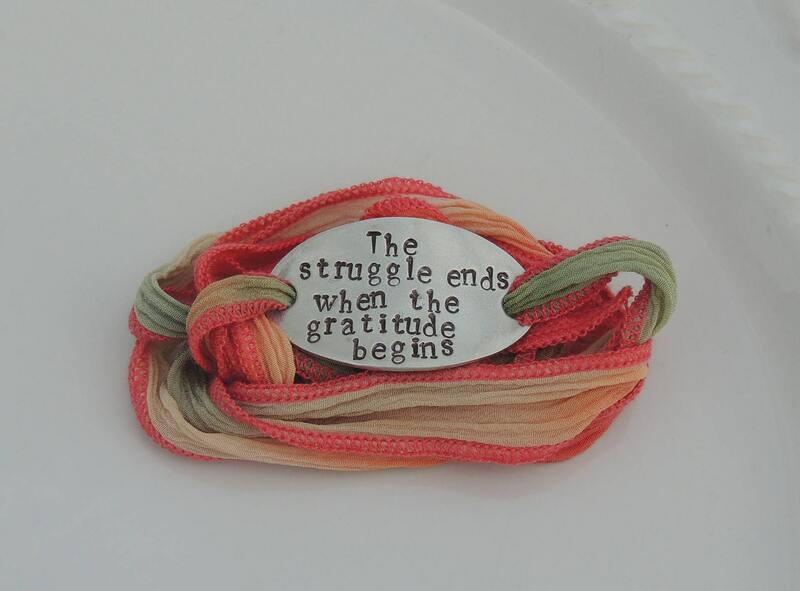 This is a ONE SIZE FITS ALL style wrap bracelet. 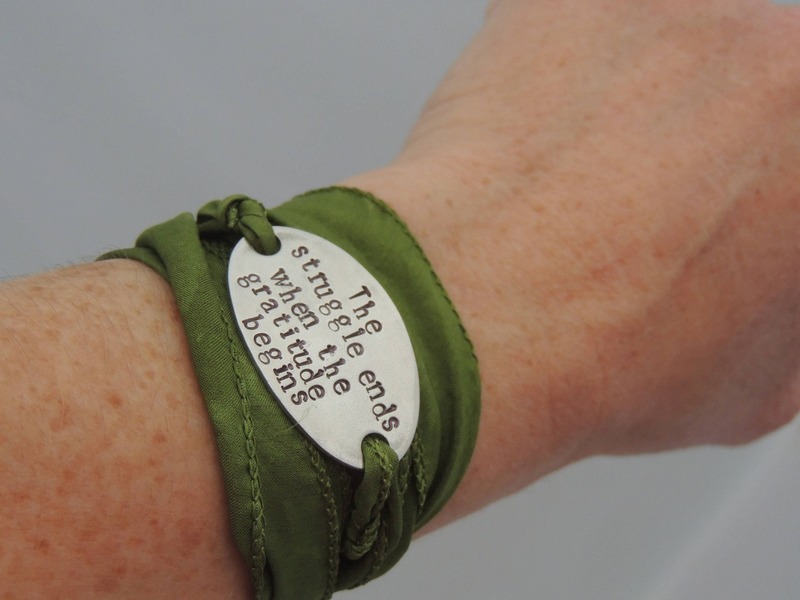 Additional wrap bracelet styles are available in my shop. 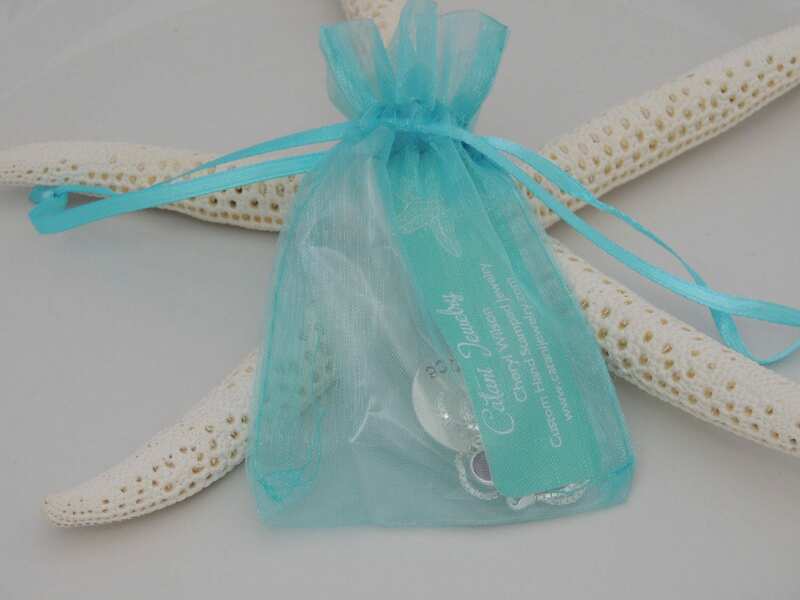 To view other styles, please click on the link below. 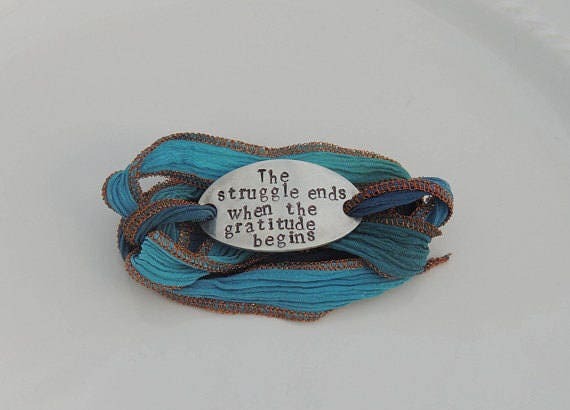 Love this bracelet! Arrived on time. Love, Love, Love it! I wear it every day. Just as described.